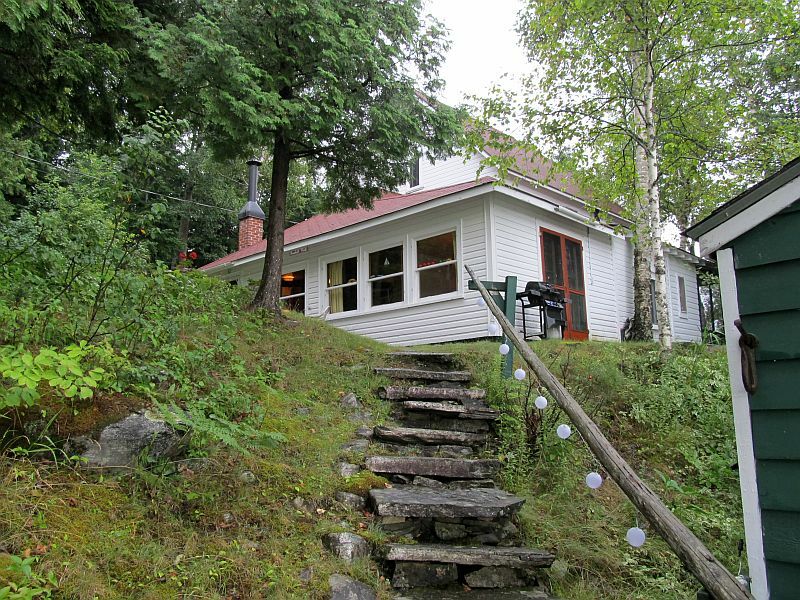 Looking for a true cottage experience? 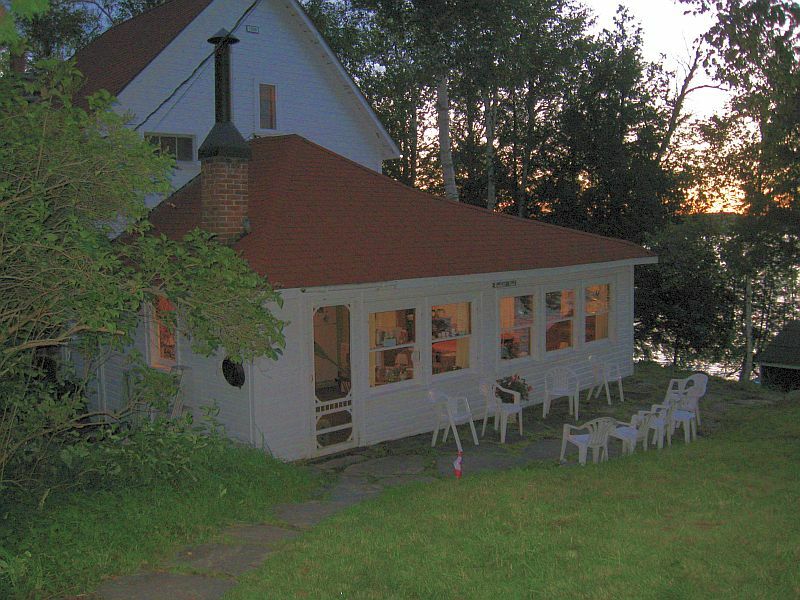 Pennfield Point, located on Peninsula Lake, is a 100-year-old traditional Muskoka cottage. 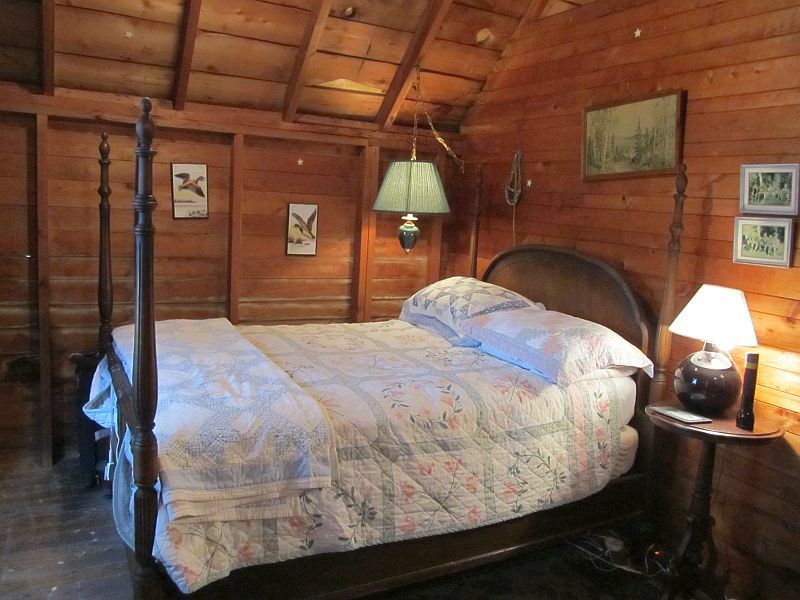 It is nicely decorated with antiques and rustic furniture preserving its original feeling of comfort and antiquity. Throughout the cottage the hardwood flooring remains, keeping its unique old style, and preserving the rich history in this cottage. Many of the windows are trimmed in stained glass from a church of yester years. 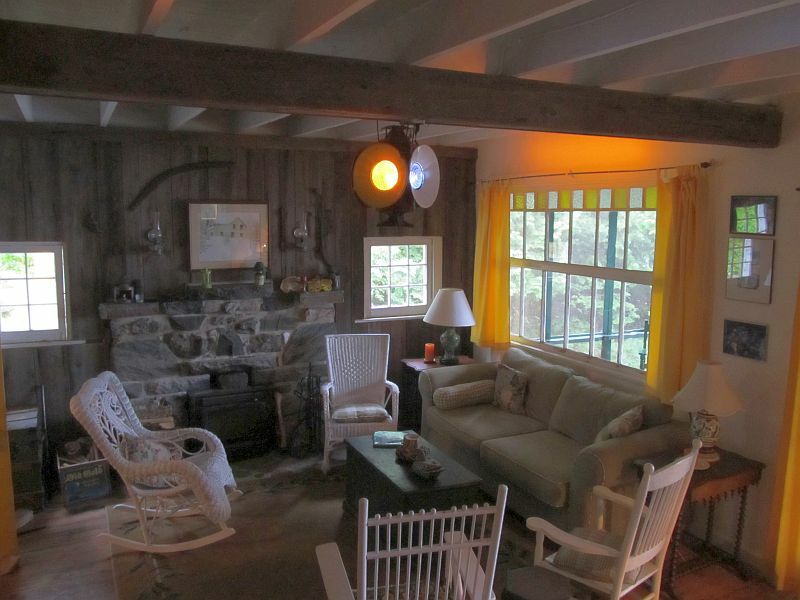 The upper level of the cottage is very unique as the walls do not go all the way up, allowing air to flow freely on hot summer days. On this level you will find three bedrooms: two have a double bed each, and the third bedroom has one double bed and two singles. 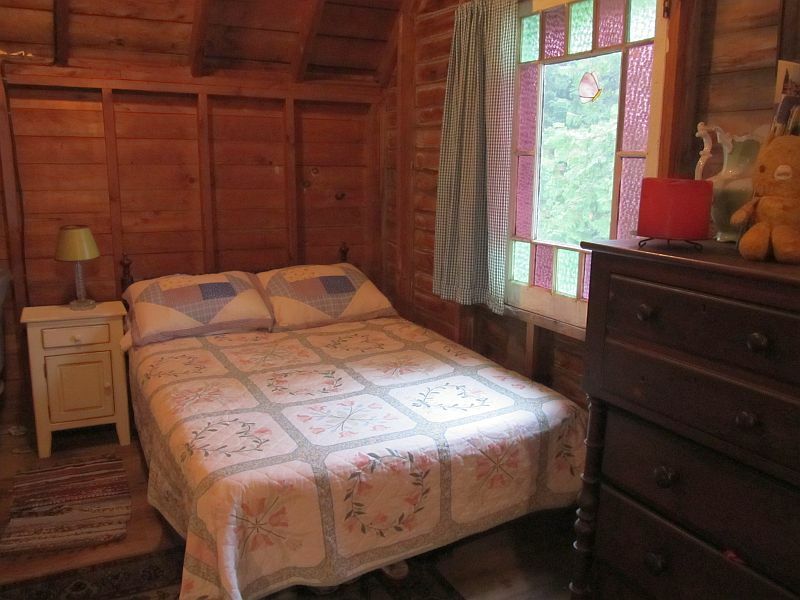 A fourth bedroom can be found on the main level with a double bed. 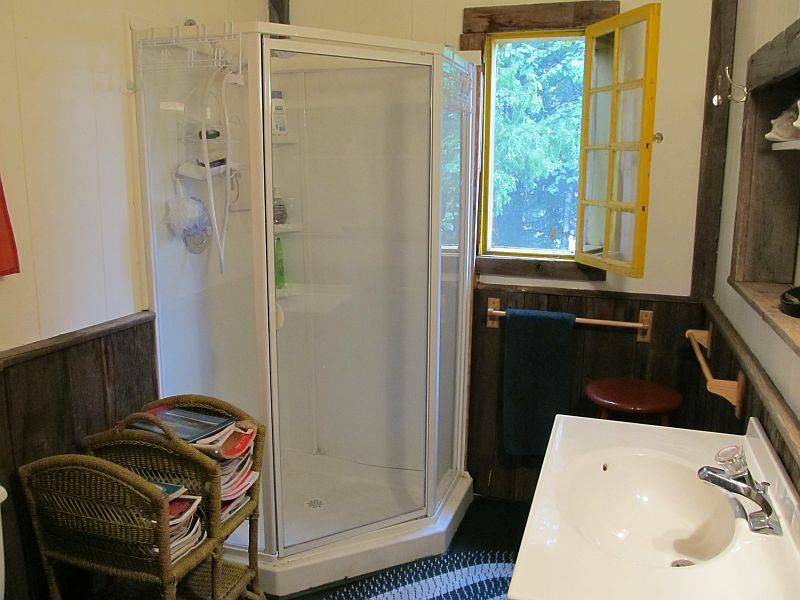 There is a three-piece bathroom on the main level. 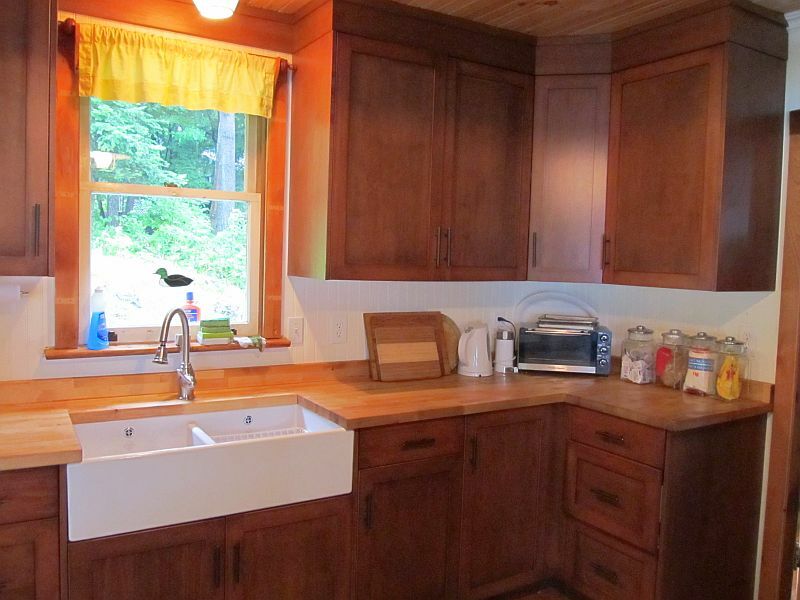 The full equipped kitchen has recently been updated; however it still has that rich history with the great old style double sinks and old cook stove (not for use). 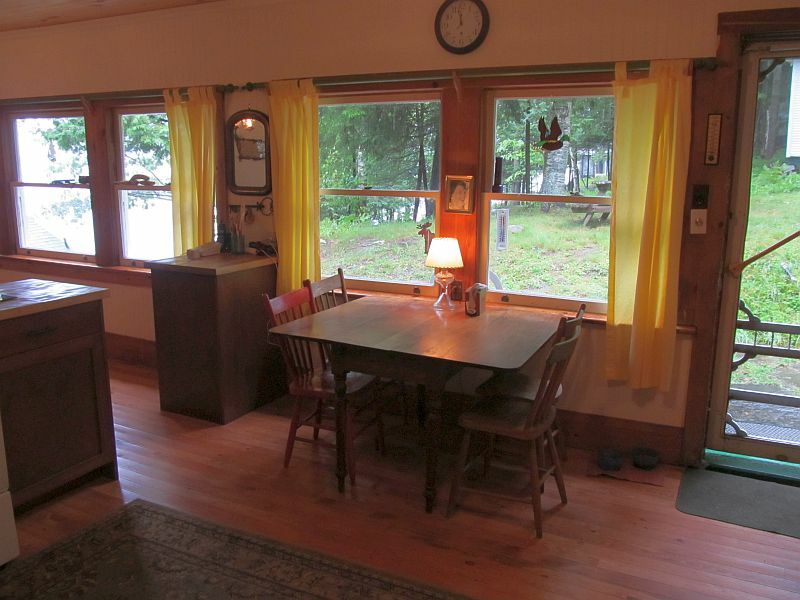 A breakfast table with seating for four is tucked by the window. 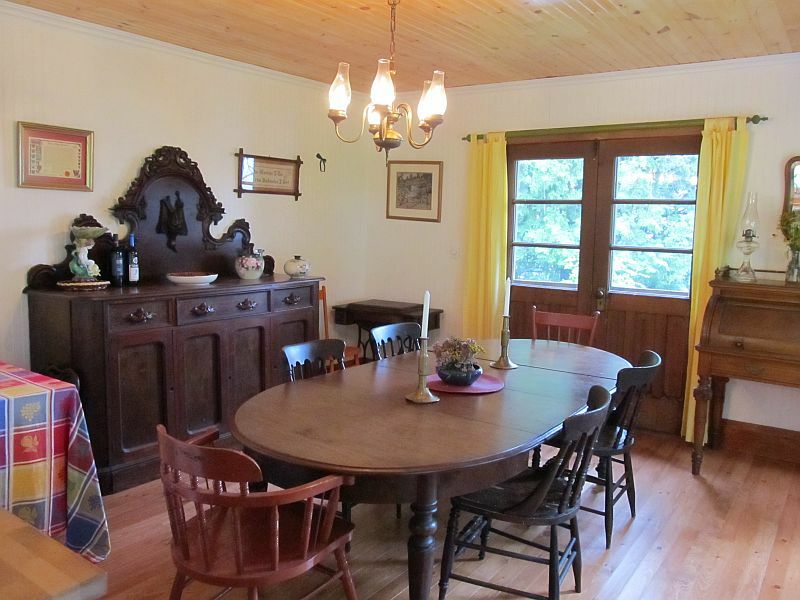 The dining room is just off the kitchen and offers an antique grand harvest table and ample seating for the entire family, be sure to open the double doors to enjoy the view of the lake. The main floor also features the fully furnished living room complete with a stone wood-burning fireplace that heats up all the first floor. Comfortable furniture in the living room provides a place to relax and enjoy your surroundings. For those who enjoy the occasional sing along, a piano (not in tune) is available. 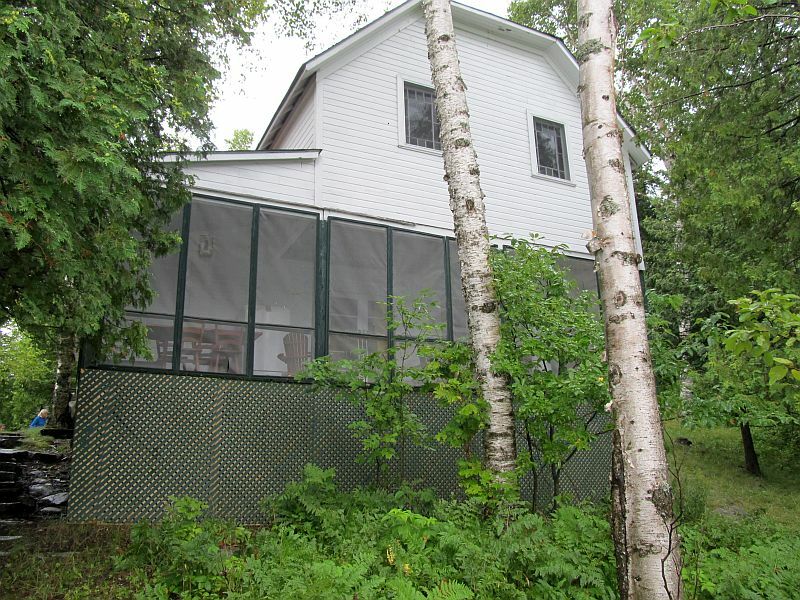 Off the livingroom is a large screened-in porch offering a great view of the lake; it will quickly become the favourite spot to relax on the couch, or enjoy a game of cards at the table. The stone path leads down to the waterfront, where a drink can be enjoyed on the dock. Swimming is best enjoyed from the dock where the water is five feet deep of the end. 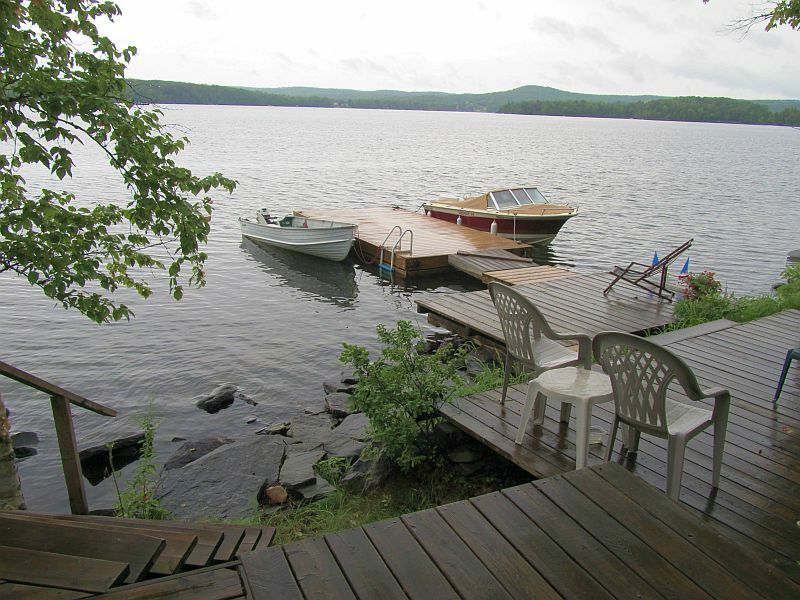 There is shallow water to the side off the dock, however watershoes are recommended as it is rocky. The waterfront is fairly private as you can only see one other cottage. Boat Rentals are available close by for getting out on the water and enjoying an afternoon of exploring, or even trying your hand at fishing. For larger families why not look at booking Point of View as well. These two cottages are side-by-side and work well for two families. Huntsville offers good restaurants, live theatre, and a quaint downtown for shopping. With Algonquin Park close by, there are many trails to hike, or perhaps even catch a glimpse of some wildlife. 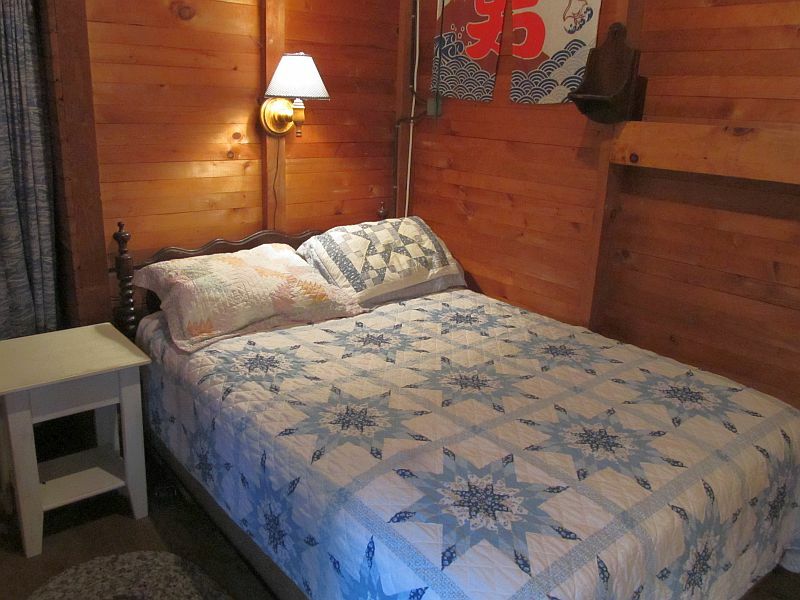 $338 per night during holiday weekends in off-season (minimum 3 nights).